DAMA's documentary team, Midwest Story Lab, visited the Hoyt Building in Madison on June 2 and found five stunning mural panels painted by SAIL students and teaching artists Emida Roller and Alicia Rheal. 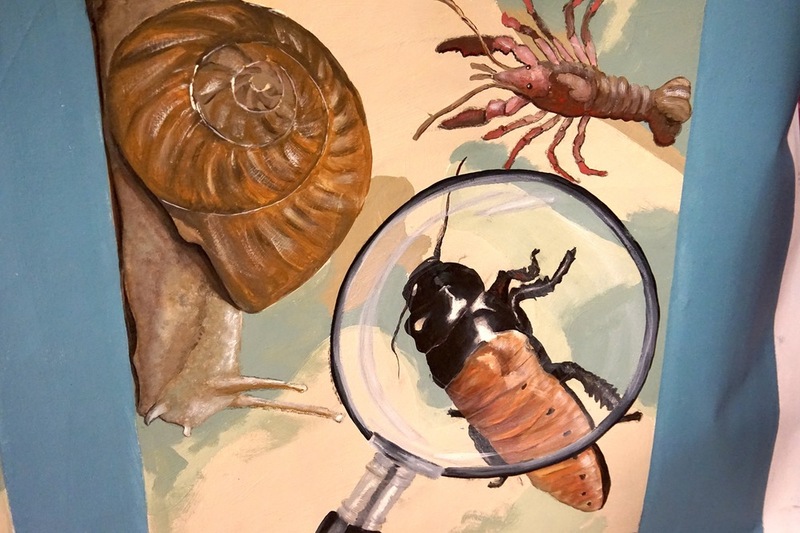 The mural depicts life in the Hoyt Building: students, teachers, school employees, physical fitness, sports, children, voting during elections, and even the bug lab in the basement! MSL captured some photos of Roller and Rheal collaborating with students on new abstract paintings and took some shots of the almost completed Hoyt mural. Soon enough the exterior of the building will be adorned with the student and teaching artists' wonderful work!